Need them in a hurry? 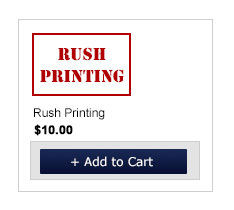 Click here or RUSH PRINTING tab above. • Sample announcements can be ordered here! • Folded card dimensions: 4.6" x 6.25"
• Announcements can take an additional 3 business days to process. 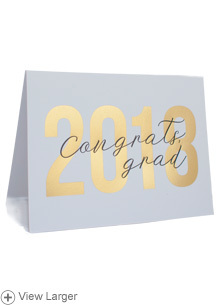 These foil stamped announcements are a fun way of celebrating your student's achievement. The words "Congrats Grads" is stamped in black over "2018". Use the optional custom lines to include information about your student's graduation party or ceremony --or include your student's favorite Bible verse! Click here for announcement wording ideas. From M. R. of Syracuse, New York on 4/24/2018 .